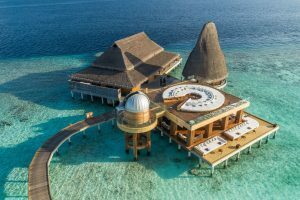 As decided by Luxury Travel Advisor – the insider’s publication for travel and tourism operatives, detailing what’s happening, the inaugural contest saw 121,000 votes cast online, with Anantara Kihavah taking 45,385. Given its aesthetic gifts and design, it’s not hard to see why Anantara Kihavah claimed the title. The resort comprises 80 idyllic thatched roof villas positioned round a blue lagoon, while others sit on a pristine private beach. 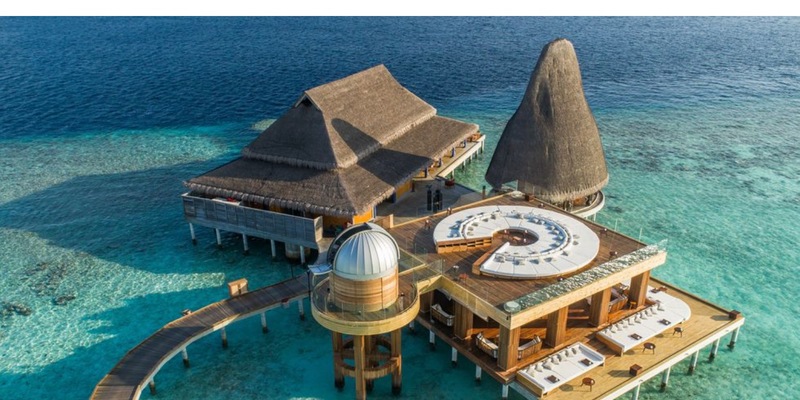 The hotel boasts an underwater restaurant, where guests can watch the sealife as they dine; an observatory offering stargazing sessions with an-house astronomer; as well as opportunities to cruise with dolphins and swim with turtles and manta rays. And then there’s the hammocks that are draped across the Indian Ocean. “I would like to thank Luxury Travel Advisor’s many, many voters for recognising the unparalleled beauty of our island,” said the hotel’s general manager, Dylan Counsel.